Relocating to a new house is stressful enough without having to worry about the logistics of an entire move. So when it comes to the heavy-lifting (literally), leave it to the professionals — professional movers, that is. Experienced Winter Park, FL moving companies consist of expert movers and packers who can efficiently pack, move and assemble your Winter Park belongings to ensure that you get off to a good start in your new home! All American Muscle Moving LLC. Here at All American Muscle Moving, we strive for perfection. 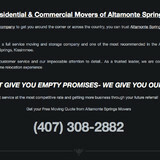 We know that your move is your biggest concern and we make it our biggest concern. 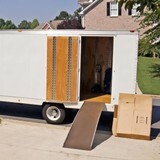 We understand that the entire moving process is stressful and we are there to allow you to leave the heavy lifting to the professionals. Our crew is experienced, respectful, courteous, efficient, and friendly. Your move will be the only priority they have and they take it very seriously to provide the best possible experience.